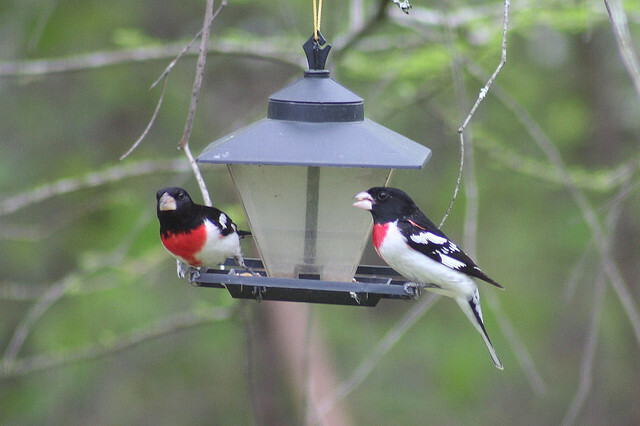 The Rose-breasted Grosbeak is a breeding bird in North America. 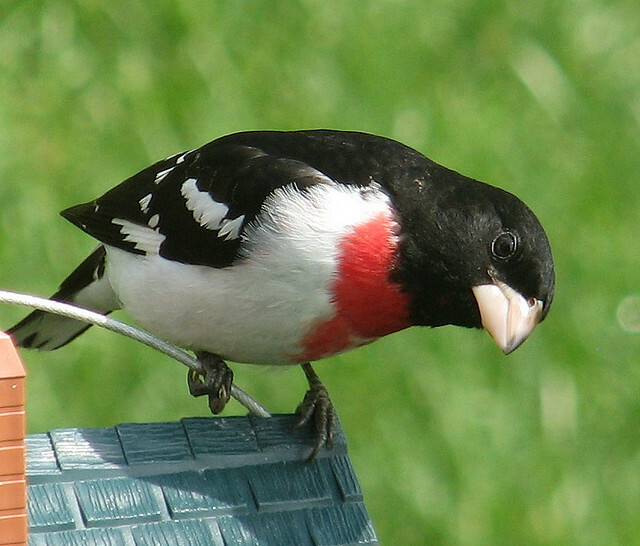 The male has a striking red chest. Both male and female have a strong beak.